Oxford Medical Walk-in Clinic provides urgent medical care to the people who needs urgent medical care and / or do not have a family doctor or are unable to reach their family doctor. Generally, appointments are not needed but it is best to call before visiting to check the clinic‘s hours as they are subject to change. We are open seven days a week and bus stop is right outside of the clinic door. We have female physician available on staff at our clinic. We take care of travel medicine, flu shots and vaccinations. 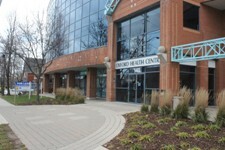 We are located at Oxford St. E and Talbot St Bus stop is right outside of clinic. We are open 7 days a week. Copyright © 2019 Oxford Medical Walk-in Clinic | Email | Designed by Ultratech Solution.